The music industry is struggling, but the past months we have seen some interesting (fan-driven) initiatives emerge to create more revenue. I’d love to dive into these cases a bit, which include peer-to-peer systems but also new ways of rewarding and monetizing fan activity. Let’s start with Ticket Master, which has adopted a new “verified fan” model to reward fans and wield out the scalpers, supposedly. Fans get points for their participation, if they buy official merchandise, write reviews and more. Ticket Master had already experimented with this model in the case of Bruce Springsteen, but it raised more controversy when it was announced for Taylor Swift’s tours. This fan incentive scheme is meant to identify the real fans, as the hashtag “verifiedfan” so elegantly phrases. Don’t be fooled though, this is a corporate mechanism and has been much criticized in the media, for good reasons. What seems a social incentive (get points to truly participate online and write album reviews) is also a way to sell merchandise. Fans can also buy exclusive goodies to upgrade their status. Especially this part of the scheme was criticized. Will only the rich fans get front row seats? Welcome to the dark side of the platform economy, where companies can easily hide behind platforms that seem good for the consumer, but are actually not. This incentive scheme is portrayed like a social platform, that is two-sided (this is what is good for the fans, they can get perks and even a ticket), but it is not a dialogue at all, just a new way of profiting from fandom. Though we can criticize this system, it is a fact that today’s economy is heavily moving towards merit-based systems. Most of these, however, are associated with the emergence of peer-to-peer systems and cryptocurrency. I am more excited about initiatives in these lines for music and events, and rewarding fan engagement overall. Cryptocurrencies like Bitcoin, Vericoin and Ethereum are the future. The music industry – which struggles to make money from albums, digital downloads and advertising – has noticed this as well. 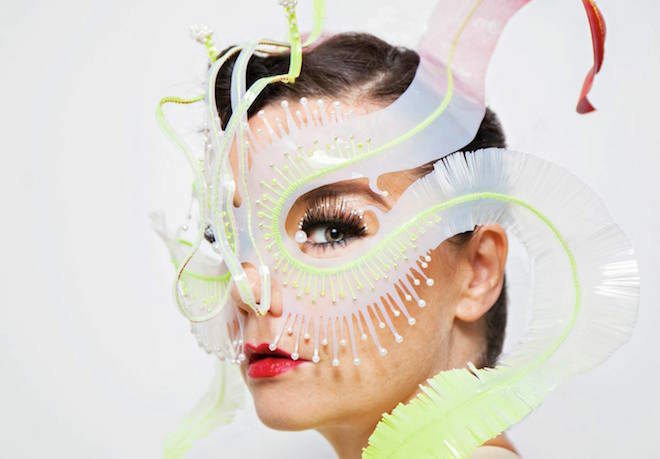 For instance, today it was announced that Björk will experiment with crypto technology for her 10th major album. Fans will be able to exchange the coins for other cryptocurrencies, keep them as an investment, or convert them back into ‘fiat’ currency like pounds or dollars. Over the next two years, they will also be able to earn more AudioCoins by interacting with Björk’s music, live events and digital activities. Björk is the first big star to experiment with cryptocurrency. There have been some initiatives, for instance by Imogen Heap (love her to bits! ), but the scale of Björk’s project is much bigger, truly global, and involves different parties/currencies. Amazing stuff! Personally I think the whole Taylor swift model would have worked better if money and products hadn’t been involved, but if Ticket Master instead had relied solely on the tokenization of fan engagement. Just my two pennies (uh…tokens…uh…audiocoins)! What do you think?